" 10 Sq. R. A. F. | 1 " 10 Sq. R. F. C. | 1 " 10th Gurkha Rifles (I.A.) | 1 " 11th Lancers (I. A.) | 1 " 12 Sq. R. F. C. | 1 " 12th Cavalry (I.A.) | 1 " 13th Hussars | 1 " 13th Res' Regt. Cavalry | 1 " 14th Lancers | 1 " 16 Sq. R.A.F. | 1 " 2 FTS RAF | 1 " 2 Sq. R. F. C. | 1 " 20th Hussars | 2 " 211 Sq. R. A. F. | 1 " 21st Lancers | 1 " 24th Punjabis (I.A.) | 1 " 27th Punjabis Inf. (I. A.) | 1 " 28th Light Cavalry (I.A.) | 1 " 33rd Punjabis (I.A.) | 1 " 39th Garhwal Rifles (I.A.) | 1 " 40 Sq. R. F. C. | 1 " 41 Sq. R. F. C. | 1 " 43 Erinpura Regt. (I.A.) | 1 " 47th Sikhs (I.A.) | 1 " 49 Sq. R. A. F. | 1 " 4th Gurkhas (I.A.) | 1 " 53rd Sikhs (I.A.) | 1 " 59 Sq. R. F. C. | 1 " 5th Lancers | 1 " 60 Sq. R. F. C. | 1 " 62 Sq. R. A. F. | 1 " 66 Sq. R. F. C. | 1 " 67th Punjabis (I.A.) | 1 " 70 Sq. R. F. C. | 1 " 82nd Punjabis (I.A.) | 1 " 83 Sq. R. A. F. | 1 " 84th Punjabis (I.A.) | 1 " Army Service Corps | 7 " Australian Imp. Inf. | 1 " Australian Infantry | 3 " Ayrshire Yeomanry | 1 " Bedfordshire Regt. | 4 " Black Watch | 2 " Border Regt. | 4 " Cameron Highlanders | 1 " Canadian Inf. | 11 Canadian Trench Mortar Battery | 1 " Chaplains Dept. | 1 " Cheshire Regt. | 4 " Church Army Huts | 1 " Coldstream Guards | 1 " Connaught Rangers | 1 " Devon Regt. | 2 " Dorset Yeomanry | 1 " Dragoon Guards | 1 " Duke of Cornwall's Light Inf. | 4 " Durham Light Inf. | 4 " East Kent Regt. (The Buffs) | 11 " East Kent Yeomanry | 1 " East Lancashire Regt. | 3 " East Surrey Regt. | 3 " East Yorkshire Regt. | 9 " Essex Regt. | 4 " Essex Yeomanry | 1 " Gloucestershire Regt. | 4 " Gordon Highlanders | 3 " Grenadier Guards | 1 " H. M. S. Aboukir | 1 " H. M. S. Argus | 1 " H. M. S. Good Hope | 1 " H. M. S. Phoebe | 1 " H. M. S. President | 1 " H. M. S. Topaze | 1 " H. M. S. Viknor | 1 " Hampshire Regt. | 4 " Hampshire Regt. / RFC | 1 " Herefordshire Regt. | 3 " Highland Light Infantry | 3 " Honourable Artillery Company | 2 " I. A. att Welch Regt. | 1 " Indian Army | 3 " Indian Medical Service | 1 " Irish Guards | 1 " Irish Horse & R. F. C. | 1 " King Edward's Horse | 2 " Kings African Rifles | 1 " Kings Own Scottish Borderers | 1 " Kings Own Yorkshire Light Infantry | 3 " Kings Royal Rifle Corps. | 7 " Lancashire Fusiliers | 7 " Leicestershire Regt. | 6 " Life Guards | 1 " Lincolnshire Regt. | 2 " Liverpool Regt. | 6 " London Regt. | 2 " London Scottish Regt. | 2 " Machine Gun Corps | 2 " Manchester Regt. | 2 " Middlesex Regt. | 8 " New Zealand Inf. | 1 " North Lancashire Regt. | 5 " Northamptonshire Regt. | 4 " Northumberland Fus. | 7 " Notts' Yeomanry / RFC | 1 " O. T. C. | 1 " Ox & Bucks Light Inf. | 3 " Punjabis (I.A.) | 1 " Queen's Own Oxford Hussars | 1 " Queen's Westminster Rifles | 1 " Recruiting Officer | 1 " Rifle Brigade | 2 " Royal Air Force | 5 " Royal Army Medical Corps | 1 " Royal Berks' Regt. | 1 " Royal Dublin Fusiliers | 3 " Royal Engineers | 13 " Royal Engineers and Sq Cmdr RFC | 1 " Royal Field Artillery | 26 " Royal Field Artillery / R. F. C. | 1 " Royal Flying Corps | 5 " Royal Fusiliers | 11 " Royal Garrison Artillery | 15 " Royal Horse Artillery | 2 " Royal Inniskilling Fusiliers | 2 " Royal Irish Fusiliers | 1 " Royal Irish Regt. | 2 " Royal Irish Rifles | 1 " Royal Lancaster Regt. | 7 " Royal Marines Light Infantry | 2 " Royal Munster Fusiliers | 1 " Royal Naval Air Service | 1 " Royal Naval Air Service Manston | 1 " Royal Naval Volunteer Reserve | 3 " Royal Scots | 5 " Royal Scots Fusiliers | 1 " Royal Sussex Regt. | 2 " Royal Warwickshire Regt. | 6 " Royal Warwickshire Regt. Att Lan Regt | 1 " Royal Welch Fus. | 6 " Royal West Kent Regt. | 5 " Royal West Surrey Regt. | 3 " Scottish Rifles | 2 " Seaforth Highlanders | 5 " Sherwood Foresters | 5 " Shropshire Light Inf. | 5 " Somerset Light Inf. | 6 " Somerset Yeomanry | 1 " South African Horse | 1 " South African Inf. | 1 " South Staffordshire Regt. | 8 " South Wales Borderers | 4 " Suffolk Regt. | 2 " The Queens Regt. | 1 " Warwickshire Yeomanry | 1 " Welch Fusiliers | 1 " Welch Regt. | 6 " Welsh Guards | 1 " West Kent Regt. | 2 " West Riding Regt. | 5 " West Yorkshire Regt. | 5 " Wiltshire Regt. | 4 " Worcester Yeomanry | 1 " Worcestershire Regt. | 12 " York and Lancaster Regt. | 2 " Yorkshire Regt. | 4 "
" - | 1 " Africa | 3 " Belgium | 78 " Bulgaria | 1 " Canada | 1 " Croydon | 1 " Egypt | 1 " Eygpt | 3 " France | 248 " Gaza | 2 " Germany | 3 " Greece | 4 " India | 4 " Iran | 3 " Iraq | 19 " Ireland | 1 " Israel | 1 " Italy | 2 " Malta | 2 " Pakistan | 1 " Palestine | 2 " Sea off Chile | 1 " Sea off County Donegal | 1 " Tanzania | 2 " Turkey | 23 " United Kingdom | 51 "
House: Sch, 1900 - 1901. Regiment: Canadian Inf. Died: 10 August 1916 aged 31 in Canada. Died of wounds near Zillebeke. Son of Mrs A.D. Blackader of 236, Mountain Street, Montreal. Husband of Kathleen Blackader, of 242, Sherbrooke Street, West Montreal. McGill College, Montreal; B. Arch. ; studied in Paris. 5th Royal Highlanders, Canada, 1912, 42nd Bn. Canadian Infantry. 'Gordon Blackader was a fine big quiet lad when he came to Malvern from Canada. Unfortunately he only remained here for a year, but during that time he won the respect and liking of all. 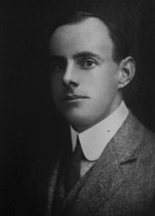 He returned to Canada in 1901, and was, at the time when war broke out, a successful and rising architect. He joined the Canadian Infantry (affiliated to the Black Watch), in which he was, at the time of his death, a Company Commander. He leaves a widow and a daughter.' (Malvernian, Nov 1916). House: No 6, 1893 - 1895. Regiment: Canadian Inf. Died: 04 April 1916 aged 38 in France. Died of wounds. Son of the Rev. 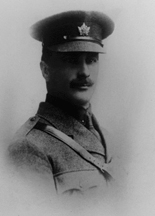 William Bramley-Moore; husband of Nellie Bramley Moore, of 10729, 98th Avenue, Edmonton, Alberta and 26 Russell Square, W.C. Born in London 1878. Lower V�VI. Minor Scholar. School Prefect. House XI Football. He was a politician in Alberta Canada and wrote about the exploitation of Alberta by eastern Canada. Princess Patricia's Canadian Light Infantry (Eastern Ontario Regiment). He was shot by a German sniper in March 1916 and died in hospital in April 1916. House: No 7, 1896 - 1897. Regiment: Canadian Inf. Died: 23 April 1915 aged 32 in Belgium. Died of wounds at Ypres. Born: March 22nd 1884. Son of Tredway Sydenham Clarke and Constance Clarke, of Eagle Butte, Alberta, and Westbourne Gardens, W.
Exhibitioner, St. Catharine's College, Cambridge, 1902; B.A. (Third Class Classical Tripos) 1905. Forestry Branch, Canada, 1910; Game Guardian for the province of Alberta 1911. Went to Canada in 1905 and took up land near Eagle Butte , Medicine Hat , Alberta as a Rancher. In 1910 he obtained an appointment under the Dominion Forestry Department which he held until September 1913. 10th Bn. Canadian Infantry . House: No 4, 1899 - 1900. Regiment: Canadian Inf. Died: 24 April 1915 aged 30 in Belgium. Killed in action. Son of Lieut.-Col. J. C. Culling, West Lydford, Taunton, b. 1885.
afterwards an officer in the Canadian Militia, and a Lumberman. Great War, Captain Canadian Infantry 1914 (overseas). House: No 5, 1895 - 1897. Regiment: Canadian Inf. Died: 08 May 1915 aged 34 in Belgium. Killed in action at Ypres. Born 15 Jan 1881 at Bonigale, Shropshire. Son of Colonel C. N. Lane, C.M.G., Whiston Hall, Shropshire, b. 1881. Formerly at Aspatria College; served in the South African War with Paget's Horse; afterwards in Canada. Great War, Private Canadian Infantry 1914; 2nd Lieutenant 1915 Princess Patricia's Canadian Light Infantry (Eastern Ontario Regiment). 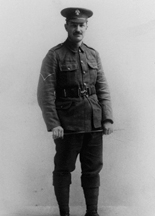 'Percy Lane served with Paget's Horse in the South African War, receiving a medal and clasp. 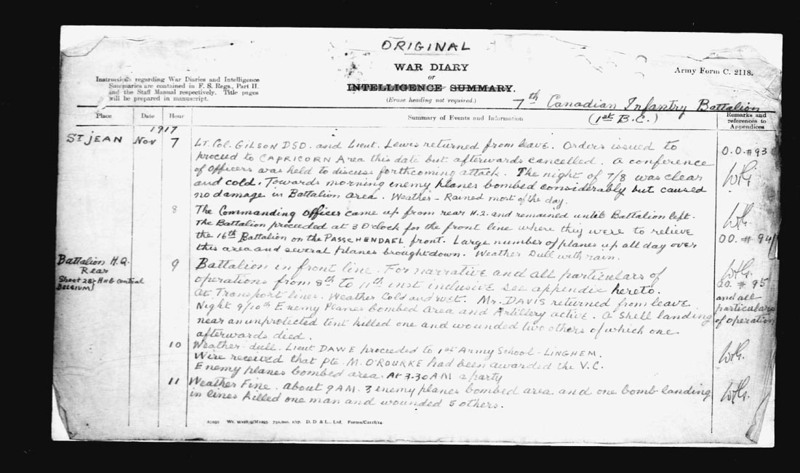 He subsequently went to Canada, and on the outbreak of the present war enlisted in the Canadian Infantry; in this he obtained a Commission and was killed in action on or about May l0th, 1915.' (Malvernian, Dec 1917). House: No 4, 1895 - 1899. Regiment: Canadian Inf. Died: 31 May 1916 aged 36 in France. 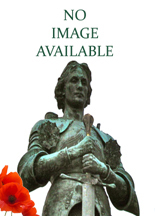 Died of wounds received at Bailleul. 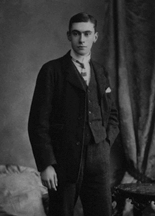 Son of S. Moore, Stratford-on-Avon. b. 1880. Secretary, Canadian Northern Railway, Medical Department. Great War, Private 29th Bn. Canadian Infantry 1914. 'On leaving School he went to Hertford College, Oxford. 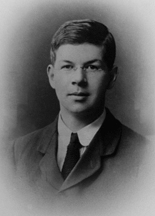 Subsequently he proceeded to Canada and became Secretary in the Medical Department of the Canadian Northern Railway. He served in the war as a Private in the Canadian Infantry, and died on May 31st of wounds received on April 6th.' (Malvernian, Jun 1916). House: No 2, 1901 - 1903. Regiment: Canadian Inf. Died: 06 June 1916 aged 30 in Belgium. Killed in action. Son of Dr. Charles Edward and Elizabeth Morris, of Campden, Glos., and London, Ontario, b. 1886. Great War, Private 31st Bn. Canadian Infantry. House: No 2, 1906 - 1910. Regiment: Canadian Inf. Died: 27 September 1918 aged 26 in France. Killed in action near Cambrai. Born Aug. 28, 1892. Son of Edward and Mabel M. Mucklow, Wood Hill, Bury, Lancs. Great War, Private No. 3 Coy. 7th Bn. Canadian Infantry 1914. 'At School he was a very conscientious boy, who could always be relied on to do his best in anything that he undertook either in work or games. He did not reach any position of authority here, but by his example and by his force of character he exercised a sound influence on those with whom he was brought into contact. 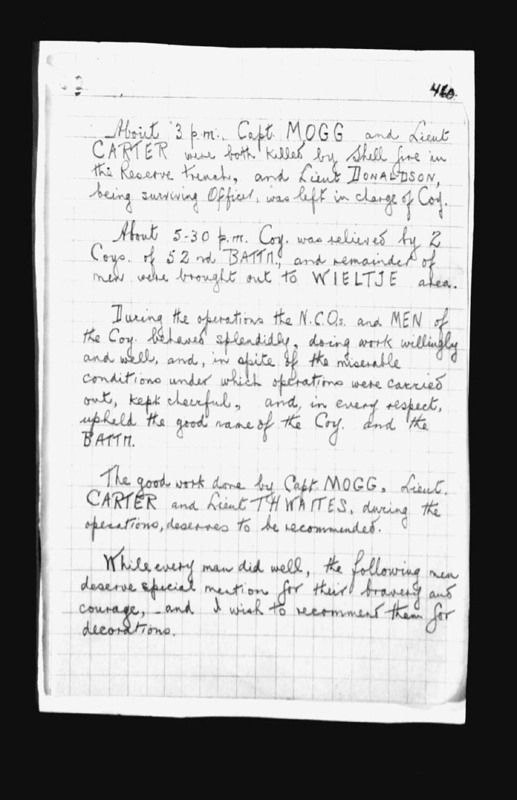 We have no record of his life in Canada or of his service in the Army, but we can be quite sure that the high principles which guided him when he was at School were constantly maintained throughout his career.' (Malvernian, Nov 1918). 'After being rejected several times owing to defective eyesight, he was accepted for service in October 1917, when he joined the British Columbia Regiment, in which he was later promoted Corporal. After reverting in rank he joined the 7th Battalion in France on August 20th, 1918. 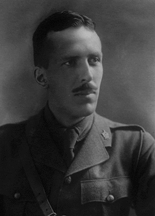 A month later he was killed in action as the battalion was advancing across open ground at Haynecourt near Cambrai.' (University of Toronto / Roll of Service 1914-1918). House: No 2, 1897 - 1899. Regiment: Canadian Inf. Died: 08 May 1915 aged 32 in Belgium. Killed in action at Ypres. 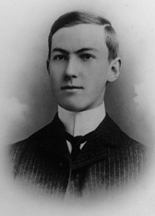 Son of J. G. Silcock, I.C.S. of 36, Lansdowne Rd., Tunbridge Wells, Kent. b. 20 Jun 1882. Modern IV�III. House XI Football. Emigrated to Canada in 1904. Engaged in Railway Construction in Canada. Great War, Private Canadian Light Infantry. 'He was farming in Canada when war broke out. 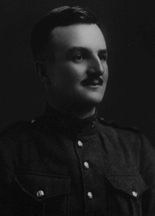 He joined Princess Patricia's Canadian Light Infantry as a Private, and was killed in action at Ypres on May 8th.' (Malvernian, Jul 1915). NB: Surname is down as Silcox in CWGC. House: No 1, 1903 - 1909. Regiment: Canadian Inf. Died: 23 April 1915 aged 25 in Belgium. Killed in action. 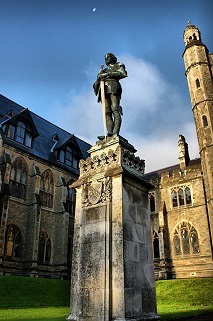 Son of John H. W. Somerset, of "Glenwood," Bronshill Rd., Torquay, England, and the late Mary de Chair Somerset. Middle IV�Upper Shell. House Prefect. Great War, 1914. Private. 10th Bn. Canadian Infantry. Service Number 20375.
laid aside with other brave. His life for king and right he gave. House: Day, 1889 - 1890. Regiment: Canadian Inf. Died: 10 November 1917 aged 41 in Belgium. Killed at Passchendaele. Son of Rev H G Thwaites, Limber Magna. b. 1876. Served in South African War 1901�02. Husband of Ethel J. A. Thwaites. Great War, Private Canadian Infantry 1916; Lieutenant 1916. 7th Bn. Canadian Infany. 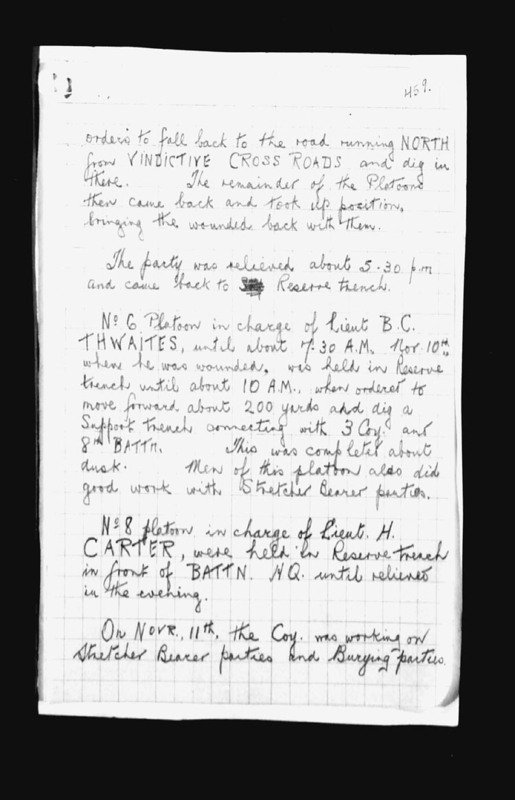 The War Diary states that Lieut B. C. Thwaites was in charge of No 6 Platoon and he was wounded at 7.30am on the 10th November an hour and a half after zero hour at 6.05am which was the start time for the resumption of the offensive on Passchendaele. 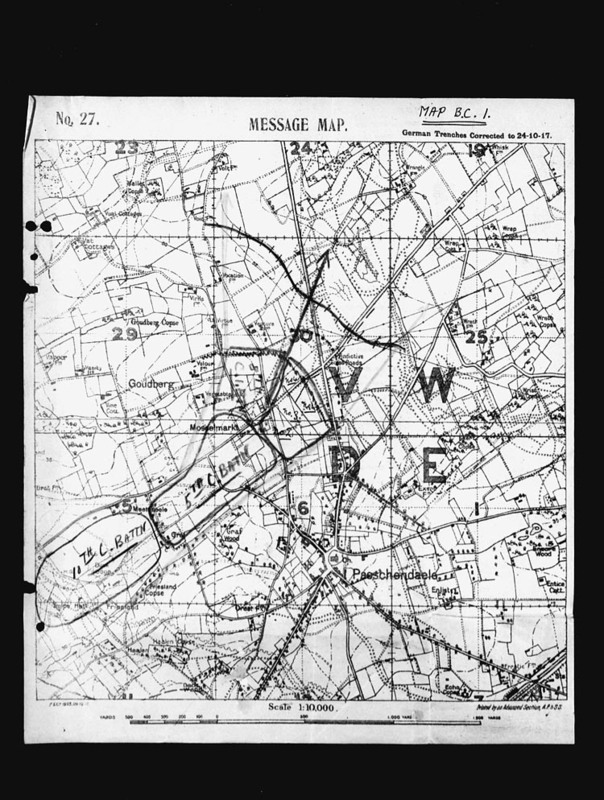 Map of operations including Map location V.30.b.1.4.